Have you ever been awakened by an elephant outside your room? Or slowly canoed passed a large herd of buffalo on a beautiful afternoon? This could be a safari of many firsts. 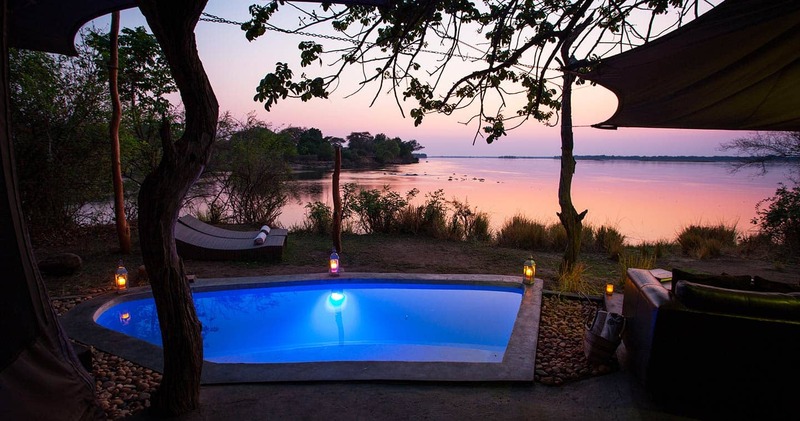 Located in Zambia’s Lower Zambezi Valley in the Chiawa Partnership Park (GMA), that borders the Lower Zambezi National Park, is one of the most established Lower Zambezi camps: Chongwe River Camp. 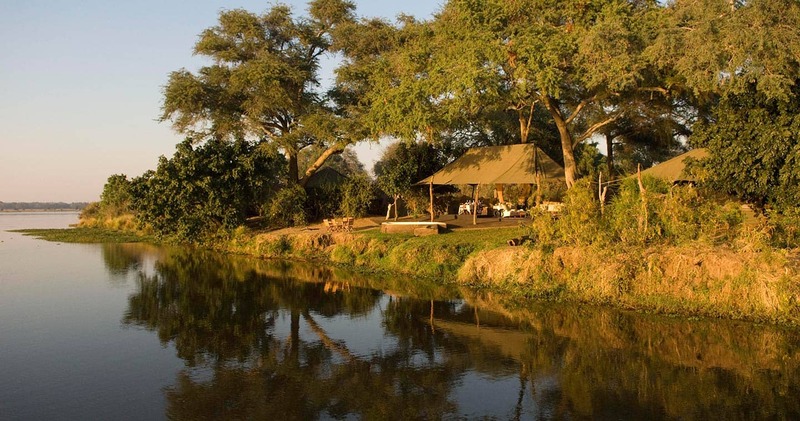 This tented camp is nestled along the riverbank beneath a canopy of winterthorns (impressive tortuous trees) at the confluence of the Zambezi and Chongwe Rivers. 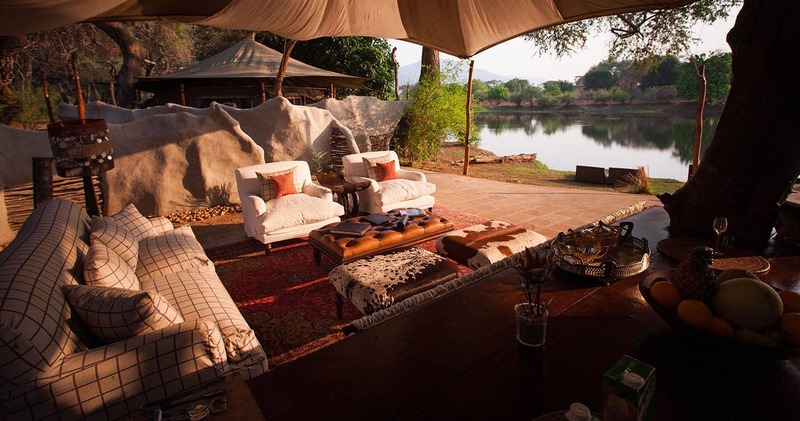 Boasting breathtaking views and, quite often, elephants wandering the camp, this lodge has all the qualities to make you instantly fall in love with it. Hosts Flossie and Alan make sure you can truly unwind and switch off the rest of the world, while still offering an unmatched variety of activities: day and night drives, boat cruises, walking safaris, or their wildly popular, canoeing experience that offers you the opportunity to view wildlife from a unique vantage point. 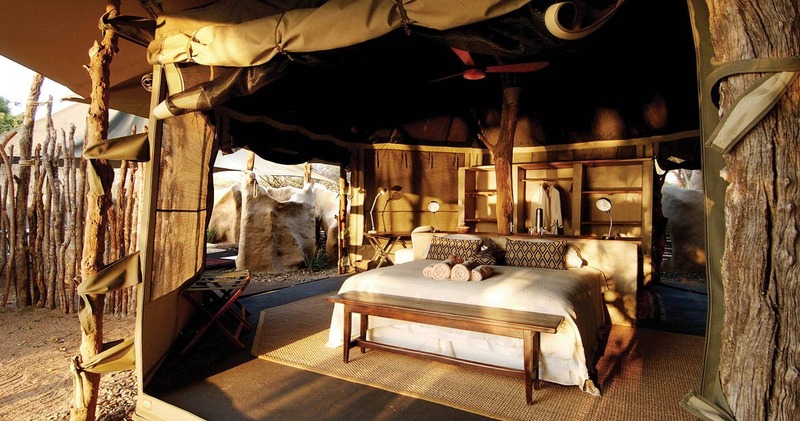 From this low perspective, nothing stands in the way between you and an unforgettable safari. .
Chongwe River Camp has nine classic tents under thatch and two private tented ‘suites’ named the Albida (two-bedroomed) and the Cassia (one bedroom honeymoon). 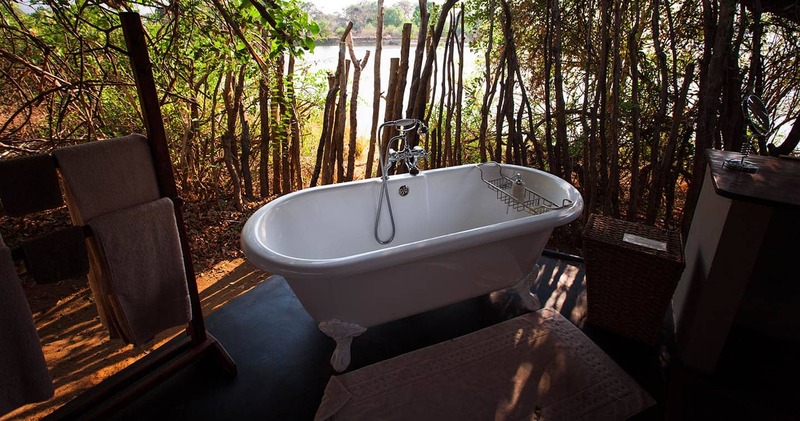 Tented suites feature private, shaded outdoor bathrooms with a freestanding bath and shower (you will love the outdoor bathroom, nothing like some windswept ablutions), and a verandah with views across the river. At Chongwe, the only thing the staff insists on is it that you relax. They strive to offer you a real home away from home, and are most happy seeing you with your feet up, taking in the views. The camp communal areas convey a relaxed vibe. All areas are shaded by canvas and open-sided, letting nature through at its leisure. There is plenty of seating with plush cushions, spacious dining area, an open, sandy campfire next to the river (perfect for starry night skies) and a swimming pool. A policy of non-intrusive wildlife enjoyment and low environmental impact has helped to make the Lower Zambezi valley one of southern Africa’s premier game viewing destinations. The Zambezi is Africa’s fourth longest river and once settled in, you will quickly understand why this amazing wilderness is so special. Perhaps you will be ‘wowed’ by the striking flora and fauna or the diversity of amazing wildlife (leopards, lions, hippos, and over 500 birds species). Chongwe River Camp offers a wide range of activities so you can explore Lower Zambezi from every angle. 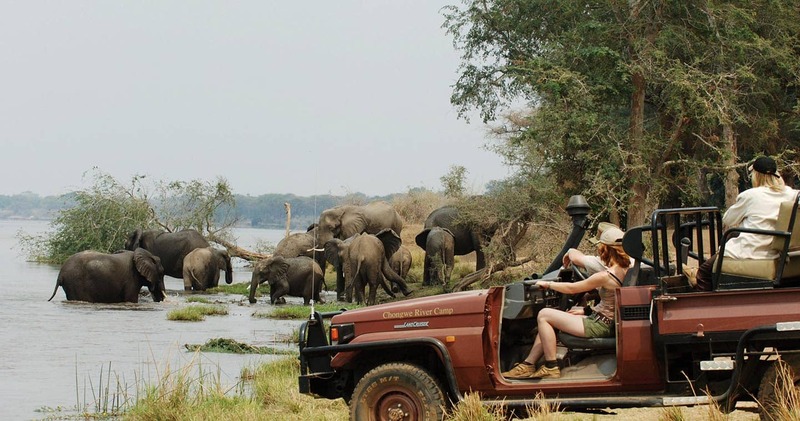 The activities are tailored to make the most of this incredibly varied wilderness, including game viewing by boat on the Zambezi River, canoeing, walking safaris and fishing. Are you interested in the rich cultural heritage of the area? Cultural community visits can be arranged on request. After any activity, you will return to the heart of the camp: the dining area. Here, you can indulge yourself with brunch, freshly baked treats with tea in the afternoon, pre-dinner drinks or a three-course dinner around a crackling fire. This is where you share safari tales with guests, the staff and your guides, while occasionally peeking at the canopy of stars above you. You are spoiled around the clock indeed. I have been coming to stay at Kasaka/ Chongwe for 15 years. The biggest compliment I can pay is that we come back every single year, simply because we don't want to be anywhere else. Stunning location, beautiful views, great wildlife, luxury accommodation and fantastic staff. Do yourself a favour and go and stay at Chongwe, you won't regret it. Wonderful location with lovely staff who all went out of their way to make your holiday. Amazing place - had just 3 nights, but would have loved to have stayed longer. Joseph the guide was excellent too. Would recommend this to anyone & everyone if they get the chance to go to Lower Zambezi. Located at the confluence of the Chongwe and Zambezi Rivers, Chongwe River Camp is a delightful camp with scenic vistass and ever present wildlife. 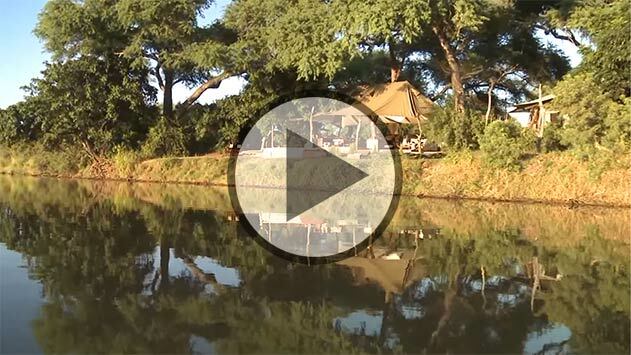 Hippos and birds are in constant view along with the occasional elephant wading near camp. The staff couldn't be friendlier and the food prepared by their able Zambian-Italian chef is wonderful. 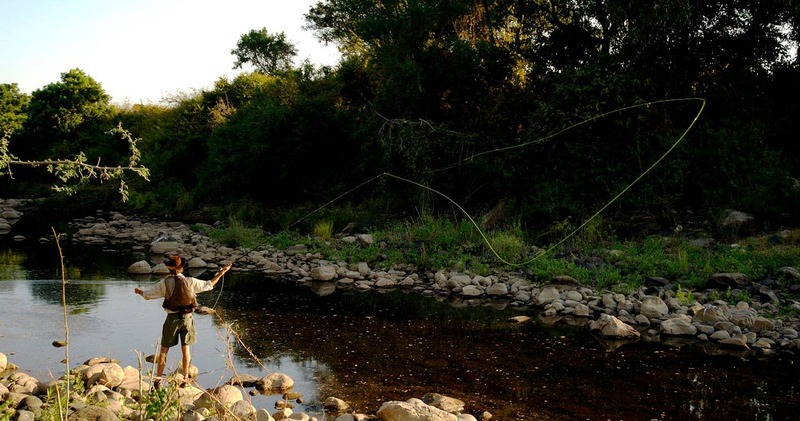 Accommodations are in comfortable tents with en suite bathrooms right next to the river. Wildlife is plentiful even before entering the national park which is only a short distance away. I had very knowledgeable guides and excellent sightings including aardvark (my first ever), leopard, lion and malachite kingfisher. Cruising on the Zambezi at sunset is magical. We stayed for 3 nights at this amazing camp. Our guide Ben was extremely good and knowledgable about the area, the game drives were beyond our expectations to the exclusive surprise dinner setup on the river bank and lunch on another day in a remote location. The lodge itself was spectacular, with the accommodation world class. The staff are most welcoming with nothing being a effort. The emphasis here is to spoil he guest and we certainly felt very spoilt. Would highly recommend. Chongwe is committed to the principles and ethics of responsible tourism. Please note: Indicated price is for a 'Tent', which is the most basic room available at Chongwe River Camp. A single supplement may be applicable. We hope you have found all information needed to decide that Chongwe River Camp in Lower Zambezi National Park is the perfect place for your next travel adventure. Please fill in the contact form and we will get back to you soon!